Download Sims 3 here for free. In The Sims 3 you have the opportunity to lead your Sims to new heights. You can now play for free the popular The Sims 3, where you can create Sims and manage their lives. You choose for yourself whether you want to create a family of four. a bachelor who has to find love, or something quite third. The lives of the Sims are in your hands, and it is up to you both to make all the big decisions, but also the little ones. You control them in their everyday lives, where cooking, cleaning and training must be done, while also preparing them for a career in exactly the field you want for them. Once you have created the Sims you want to play with, they must have a place to live. Here you get the money available so you can buy a house for them. Here it must be said that at the beginning you can of course not afford a large and nice house, but one of the little ones that just has the most necessary. This is, of course, realistic and can therefore be an appealing way to play the game. However, you can also choose to make use of the "cheat codes" made possible by game developers. Eg. You can get 50,000 simoleons with the code motherlode, which you can do as many times as you want. Then you can afford just the house you want, and of course you can also choose to buy a plot and build a new house from scratch. Here the game offers a huge selection of options for personalizing your home. You can make the house as big as you want and add everything from the many different furniture to an indoor pool or a personal gym. 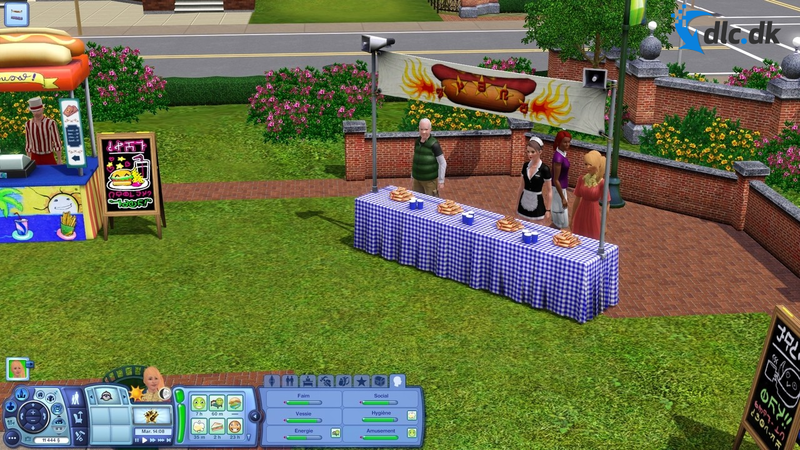 Since the game's release in 2009, a total of 28 expansion packs have been released, all of which make the Sims world bigger and more entertaining. For example, you can send your young Sims to the university with the University Life Expansion Pack, or get dogs, cats and many other animals with the Pets Expansion Pack. In addition, you will also find expansion packs where you can explore the future, experience supernatural monsters such as vampires and werewolves, experience several seasons, or live in the 70s, 80s, or 90s. You will find all the expansion packs through this link. 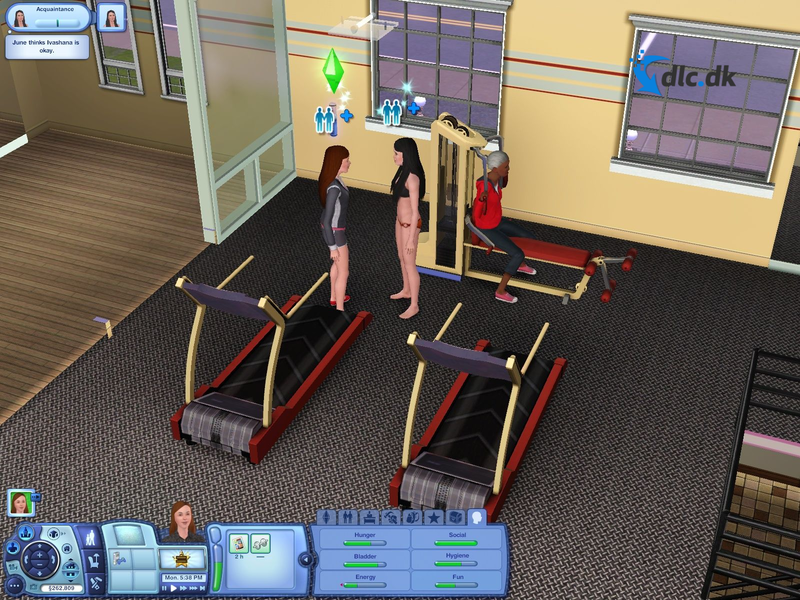 The latest game in The Sims series is The Sims 4, which was released in 2014. 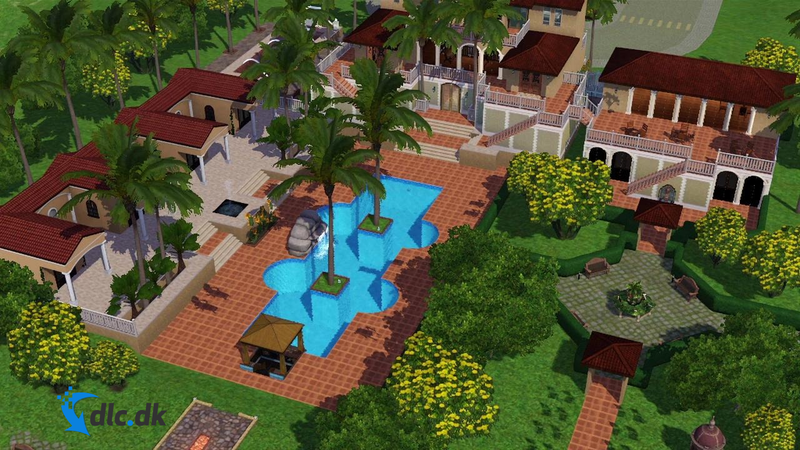 This includes all the popular and well-known features of The Sims 3, while a number of news items have, of course, also been added. Of course, the graphics have become much better than in the previous games, making it much more entertaining especially in view of the game having to imagine a real life simulation. You can read more about The Sims 4 by following this link, where you can also download a 48 hour free trial of The Sims 4. It is the full version of the game that you can access for 48 hours and thus You can try the game and its options before you decide if you want to buy the game. You do not bind yourself to the game afterwards and do not enter any bank or card information to try the game for the 48 hours. If you are looking for other games in the style of The Sims genre, then you can take a look at the SimCity games. If you follow this link, you can read more about SimCity 2000, where you need to build and manage a whole city while growing. So where in the Sims you have to control some people in their lives, you are in SimCity more in a mayor role where you decide on a whole city. On the page you can also read more about the other games in the SimCity series. For example, SimCity: Complete Edition is the latest game in the series, which includes all the popular elements of the old SimCity games, but with new and improved graphics. If you are looking for games in a completely different category than simulation games, you can also try Apex Legends, which has taken the gaming world by storm since it came out. The game is a completely free online battle royal game where you on et team with two other players must fight with 19 other teams to be the last on the island. The game has become incredibly popular and has beaten several records . The Sims 3 can be downloaded, installed and played on all versions of Windows and Mac operating systems. If you are a Linux user, unfortunately you cannot play The Sims 3 and must therefore search for other Alternatives. The Sims series is one of the most popular game series ever and you can download The Sims 3 for free, where you get free rein to create Sims and manage their lives. You decide how many Sims you want to control and you can tailor them exactly as you want. Then they must have a place to live, which is also up to you, after which their lives begin. With the motherlode cheat code, you can make as much money for your Sims as you want, building just the house you want and buying everything your heart desires. Now you control all their choices, and you can thus live out all the dreams that you have to go with yourself. The game features a wealth of options from the start, and if that is not enough, you can also download the many expansion packs that make the game's universe even bigger and more exciting. The Sims 3 is not the latest game in the series, so if you want to try the Sims 4 instead, you will find a link later. There you can download a free 48 hour trial of the full Sims 4 game, then it is up to you whether you want to buy the game. The Sims 3 and The Sims 4 can both be downloaded and played on both Windows and Mac, but unfortunately, as a Linux user, you have to go empty-handed from here. If it is not the Sims games you are looking for, you can instead take a look at either SimCity or Apex Legends, which you will also find links to under the Options section. Find Sims 3, mark it and choose "Uninstall"
Should Sims 3 has been damaged or corrupted and thereby difficult to remove we can recommend you finding help to uninstall it here.